It’s Saturday morning and you try to put away that new gizmo that you picked up on Friday night at Costco. You open the closet and try to find a place for it. You stuff it here and there but finally realize there is no room for it. If you put it in the closet you can’t close the door… time for action. You have no time to sort and carefully lay out items… you need something quick and easy… something to solve this problem now… you need an instant garage sale. The problem is… you hate garage sales. They always take a lot of time, require a lot of haggling, and stress you out. You put your stuff out in the driveway and hope someone will buy it. The usual result is a sunburn, a lot of arguing over a 50 cent item, and a few bucks in your pocket… hardly a good way to spend a Saturday. You need a solution. You need the marketing expertise of a Seth Godin to help you market your stuff and the organizational prowess of a David Allen to plan things out and get people there. You throw your hands up in the air in frustration… but then you see this link on the web page… hmmmm an “instant garage sale kit.” You download the small file and follow the directions. Suddenly things are looking up and a smile comes across your face… you can do this. You quickly print out a couple of sheets of marketing materials followed by three garage sale signs. Instantly you are energized. You grab a Sharpie marker and start writing prices and grabbing item after item from your closet. You tape the brightly colored tags to each item, clearly marked with a price. You grab all of your items and head for the driveway. You have your spouse take the directional signs down to the corner and put them up. Soon people are lined up at the end of your driveway. The brightly colored labels make price selection easy. Instead of haggling you are selling. Ker-ching after Ker-ching, the sales ring up. As the selection dwindles people start bidding up the items. Those marketing labels are working great. Soon all of the items are gone and your wallet is bulging. 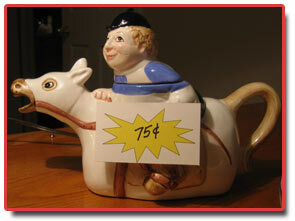 You list each sale on the garage sale roster and add things up. A cool $100 in less than an hour. Not bad for an hour on a Saturday morning. You can experience the same thing this weekend. 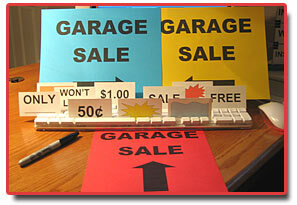 Here is a quick and easy way to instantly turn a garage sale into a pleasurable and profitable experience.